When you run a business, maintaining your physical property is an integral part of making a good impression on your customers and potential customers as well as motivating your employees and helping your community. If you neglect your gutter system, it will eventually fail and lead to expensive damage to your property. 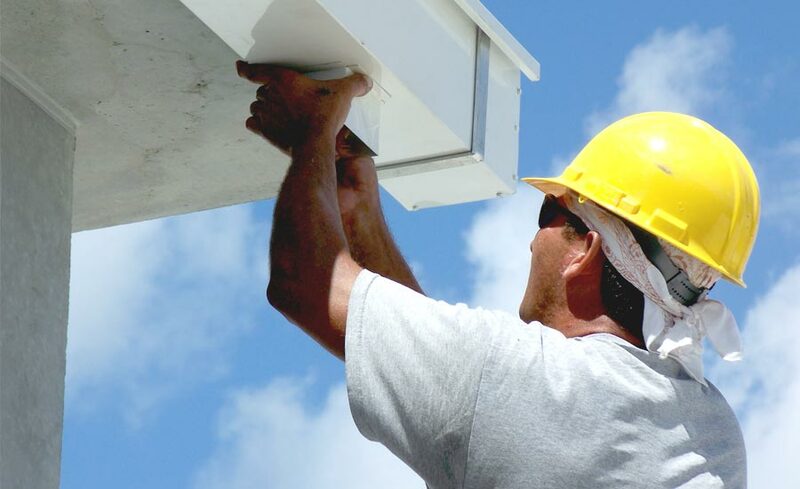 Regular roof and gutter maintenance will protect your building as well as your investment. You should have your commercial roofing regularly inspected, usually once or twice each year. These inspections are also the perfect time to have your gutters checked. A professional service with experience in these areas is your best bet, as these people know what to look for and how to perform the necessary tasks safely and effectively. During inspections, the gutters should be checked for signs of corrosion damage and blockage. It’s essential that your gutter systems are in good repair so that they don’t start pulling away from the roof. If loose or rusted areas are found, they can be replaced during your regular inspection to help you avoid future problems, especially during times of heavy rain. Inspectors can also check for separations or other damage along seams. Detected early, these problems are often repairable. Downspouts should also be inspected to ensure that they are attached securely and that they are draining far enough away from the building’s foundation. Splash blocks and downspouts can usually be examined from the ground, allowing for more frequent inspections. It’s best to have these elements checked monthly because they are more prone to damage than the roof and gutters themselves. Repairing damage early is typically an easy task; fixing extensive damage later can take longer, be more difficult, and cost more. Besides inspections, commercial gutters also require regular cleaning. Debris naturally collects in gutters over time and must be removed to avoid blockages and flooding issues. If your building has large trees nearby, regular gutter cleaning is especially important. The gutters on these buildings tend to accumulate leaves and other debris and may need twice-yearly cleaning. Depending on your location and weather patterns the best times to have your gutters cleaned are late Autumn and Spring. This schedule reduces the blockages that can interfere with run-off during rainy weather. It’s essential to clean out any debris from the gutters and downspouts on a set schedule, particularly in areas with lots of foliage. At Jani-King, we focus on making our clients’ jobs as easy as possible with a variety of services all available with just one convenient point of contact and one inclusive invoice. We partner with reliable and reputable local services to offer commercial cleaning, roof and gutter repair and cleaning, carpark cleaning, façade cleaning, waste management, pest control, and other services that help you manage your property with ease. To keep your building looking new and protect it from damage, contact Jani-King today for more information about all the ways we can help you succeed.